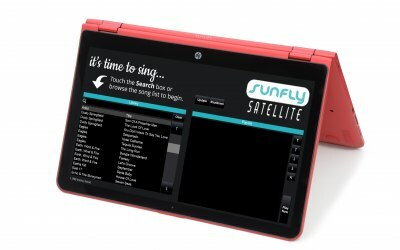 Sunfly karaoke touchscreen laptop with compact PA and two wireless microphones. 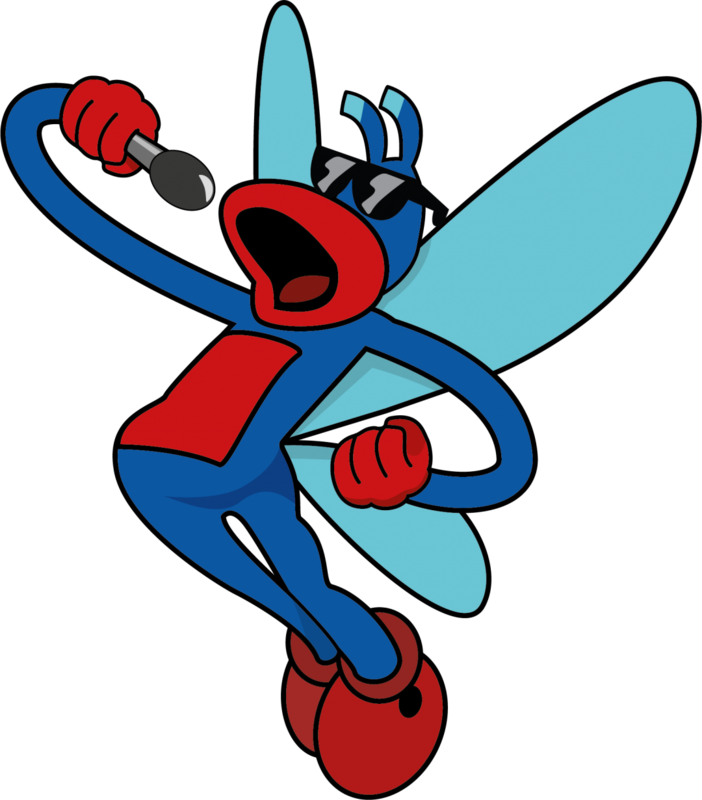 Sunfly Karaoke is the best known name in karaoke content. 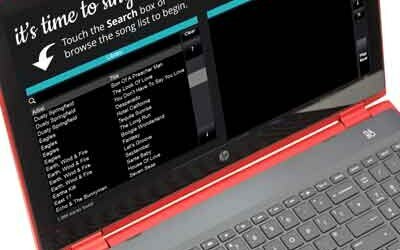 Established for 25 years we have over 17000 songs to choose from. 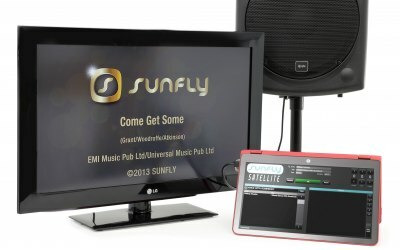 The Sunfly Satellite system is ideal for parties at home or at your local pub/club be it a birthday, hen party or a wedding reception. No DJ needed! 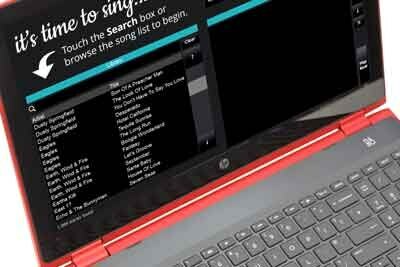 The HP Pavilion 15.6" Laptop touchscreen interface is easy and fun to use. 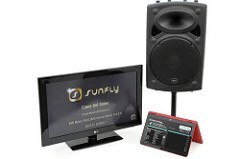 We provide karaoke and DJ solutions for all types of events. We have supplied our system for events for Louis Vuitton, Google HQ, Hodder & Stoughton, Premier League Productions, GQ Magazine, L'Escargot Restaurant, Shoreditch House, Hospital Club, Michael McIntyre Show, Emma Freud, BFI, X Factor, Major Players, Reed Smith, Knight Frank, Kensington Milestone Hotel, Beaufort House, Thames Cruises, NHS, John Lewis, Unilever, Metropolis Studios, Mizuho Bank, Bella Italia and many more. 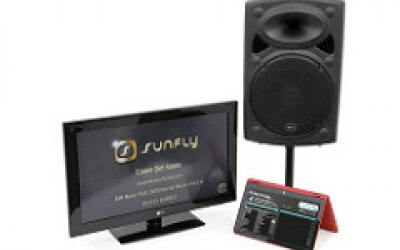 I have used a few suppliers in the past but Sunfly are the easily the best. 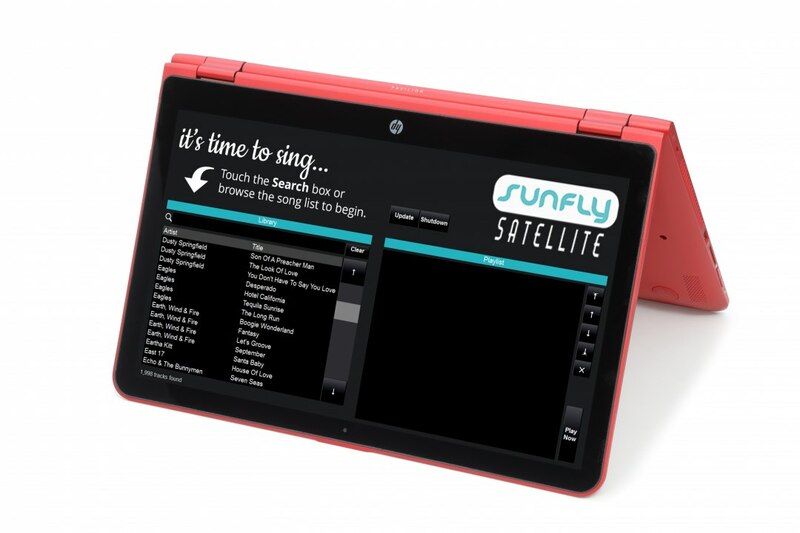 A very helpful attendant called Howard arrived punctually & set up their touchscreen laptop in 10 minutes and showed me how to use it, although it was simple there was no need. 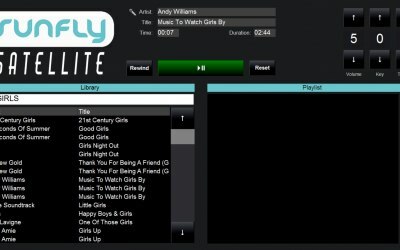 They have all the latest hits and the classics. 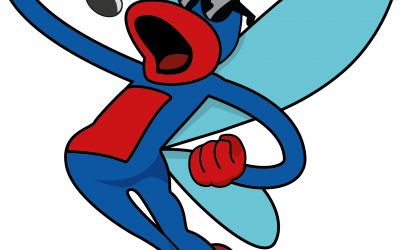 The HD quality was amazing. Great time was had by all. Thoroughly recommended. 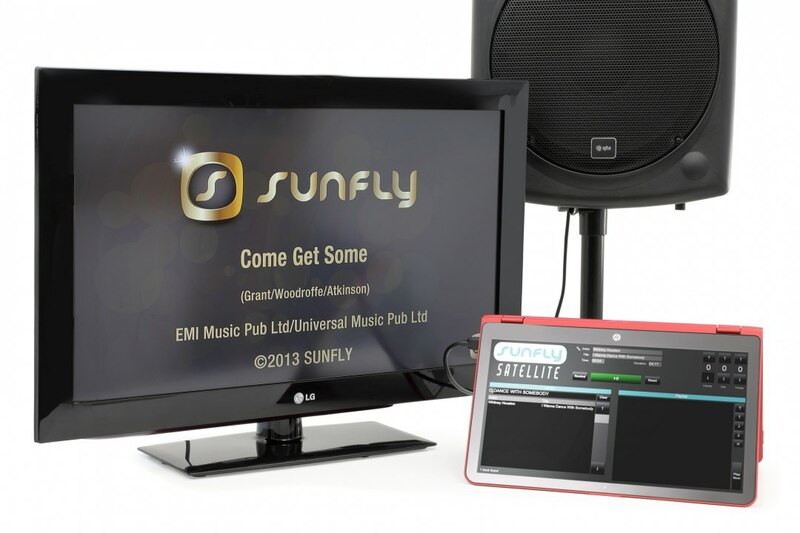 Get quotes from Sunfly Karaoke and others within hours.